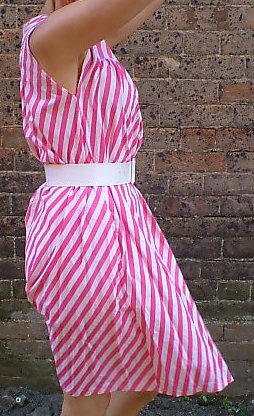 1960s vintage French striped sundress, size medium. 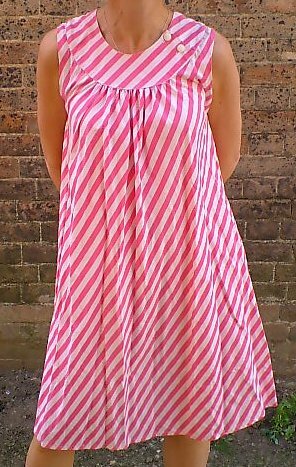 Here is a lovely, timeless, summer sun dress in pink and white candy stripes! 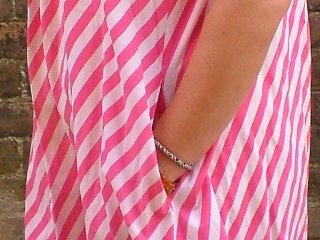 Easy to wear, loose fitting and made from cool cotton, this has all the style for which the French are so rightly famous! 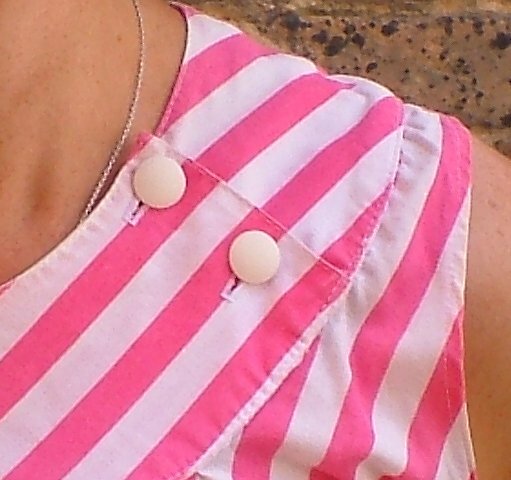 Hand made with overlocked seams, sleeveless and with a deep yoked neck, it fastens with two buttons on the shoulder, and looks great with or without a belt. 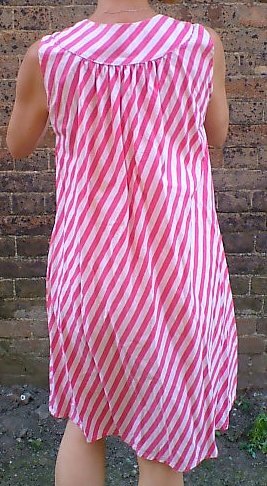 It falls softly in pleats from the neck yoke, and has two deep, useful pockets. 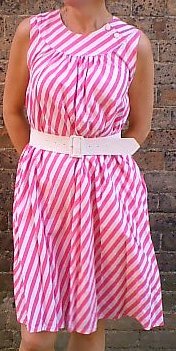 It is in unworn condtion - simply lovely! 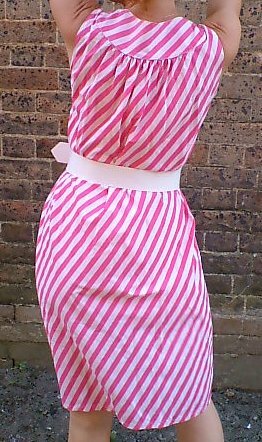 Approximate measurements are: bust 38 ins/96.5 cms (or slightly more), length 39½ ins/100.5 cms. 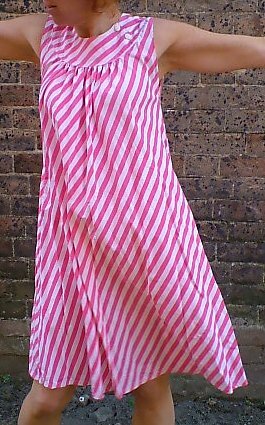 Best fit would be a modern UK size 10 - 14.